Offer Valid: 4/1/19-6/30/19 Buy 1 Pedo Crowns Introductory Kit, Get 5 REFILLS FREE! Offers Valid April 1 - June 30, 2019 Promo Code 2708 Redemption Info 2019 Hu-Friedy Mfg. Co., LLC. All rights reserved. Offer valid in the 50 United Statesand District of Columbia. Does not apply to school, government, group practice or institution offers. To receive your no charge good(s) please fax a copy of your dealer invoice April 1 - June 30, 2019 indicating the required purchases and your no charge goods selection to 773-868-3560, by email to hufriedysales@usa-800.com, or mail to: 1666 E. Touhy Ave., Des Plaines, IL 60018. *Equal or Lesser Value. Redemption must be postmarked by July 31, 2019. 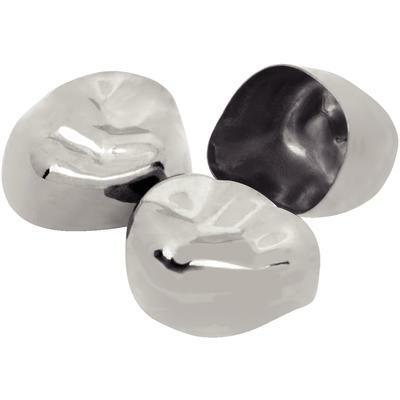 Offer Valid: 4/1/19-6/30/19 Buy any 7 Stainless Steel Primary Molar Crown Refills (Pack of 5), Get 4 FREE! Offers Valid April 1 - June 30, 2019 Promo Code 2708 Redemption Info 2019 Hu-Friedy Mfg. Co., LLC. All rights reserved. Offer valid in the 50 United States and District of Columbia. Does not apply to school, government, group practice or institution offers. To receive your no charge good(s) please fax a copy of your dealer invoice April 1 - June 30, 2019 indicating the required purchases and your no charge goods selection to 773-868-3560, by email to hufriedysales@usa-800.com, or mail to: 1666 E. Touhy Ave., Des Plaines, IL 60018. *Equal or Lesser Value. Redemption must be postmarked by July 31, 2019.